I&apos;ve been searching for a good retinol for a REALLY long time. You&apos;d think finding one would be easy, seeing as dermatologists are always praising the retinoid family as the gold standard in anti-aging (and anti-acne). But as it turns out, the vast majority of retinol formulas out there contain ingredients I&apos;d rather not put on my skin, including silicones, petrolatum and unstable oils. The same goes for prescription-strength retinoids, which I also choose not to use because they&apos;re associated with worrisome side effects. All I wanted was a simple, gentle, effective retinol serum with minimal ingredients—and I should have known that Hollywood&apos;s most gorgeous women were already onto it. Today, I want to introduce you to Resurface by Shani Darden Retinol Reform, the product behind complexions such as Jessica Alba&apos;s, Chrissy Teigen&apos;s and Rosie Huntington-Whiteley&apos;s. And now, mine—yes, I&apos;m finally back on the retinoid wagon! Plus, I&apos;ll share my results so far, after 2.5 months of using the product. That&apos;s from this People article—"These Beauty Products Changed Our Lives in 2016"—and obviously, it got my attention. I had to know… who was Shani Darden? And what made her retinol "life-changing"?! Here&apos;s what I found out. Shani is probably the most sought-after esthetician in Hollywood right now, with a long list of famous faces—including Jessica Alba, Rosie Huntington-Whiteley, Chrissy Teigen, Kim Kardashian, Emily Ratajkowski and Emmy Rossum—as clients. She is known for her simple approach that gets results. Check out some of these testimonials! Rosie Huntington-Whiteley: "Her unfussy, straightforward and easy-to-maintain approach has drastically improved my skin." Phoebe Tonkin: "I was very lucky to meet an amazing lady called Shani Darden who really changed my skin… My skin is just night and day." Suki Waterhouse: "My facialist in LA, Shani Darden, put me on this regimen that has transformed my skin." What&apos;s her secret weapon? Retinol, of course. "I personally think everyone should be on retinol if they can handle it. It can totally turn your skin around," Shani told The Cut. 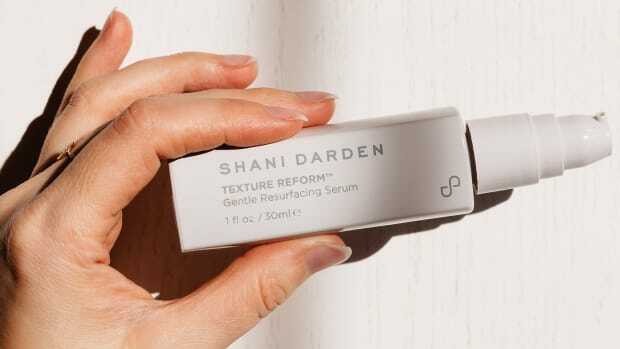 Resurface by Shani Darden Retinol Reform is Shani&apos;s signature retinol. January Jones: "I have sensitive skin, and it doesn&apos;t irritate it at all. It gets rid of blemishes and wrinkles. It&apos;s been a game changer in my skincare routine." Jessica Alba: "[I use it] every other day, or every three days." Chrissy Teigen: "Every time I use it, I get compliments on my skin the next morning." As if their gorgeous complexions weren&apos;t incentive enough, I was ALSO motivated to purchase Retinol Reform based on its unique formulation—which is unlike any other retinol serum I&apos;ve seen! But first, let me tell you about all it can do. Retinol Reform is like no other retinol on the market. It&apos;s not drying or irritating. 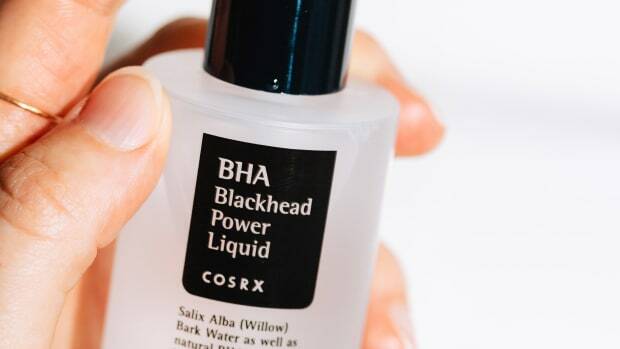 "I created [it] to have a strong retinol with a moisturizing base so you don&apos;t get the dry, flaky skin that sometimes happens with others," says Shani. I can attest that this is true! It works very gradually with no tingling or irritation. It evens skin tone. The retinol (retinyl propionate), lactic acid and niacinamide in this formula all target dark spots, pigmentation and post-inflammatory acne marks. It is also said to help smooth and soften skin texture. It&apos;s anti-aging. The retinyl propionate found in this formula has been shown in this study to reduce the appearance of wrinkles and hyperpigmentation. It&apos;s silicone-free and oil-free. It has always frustrated me that brands like SkinCeuticals, Algenist and Peter Thomas Roth load their retinols with silicones. The natural space isn&apos;t much better, since Sunday Riley and REN combine retinol with oxidation-prone oils. I really appreciate that both types of ingredients were left out of this formulation. It&apos;s safer than Retin-A. The biggest reason I stopped using prescription Retin-A is because it can interfere with vitamin A synthesis. I think retinols and retinol esters like this one are a less risky, less aggressive way to get many of the same benefits. Retinol Reform contains 5 percent each of retinol and lactic acid. So what&apos;s in this retinol that makes it work so well? According to the label, Retinol Reform contains 5 percent "Retinol Rx" AND 5 percent lactic acid. What they&apos;re calling Retinol Rx, or vitamin A propionate, is technically retinyl propionate—an ester of retinol and propionic acid. 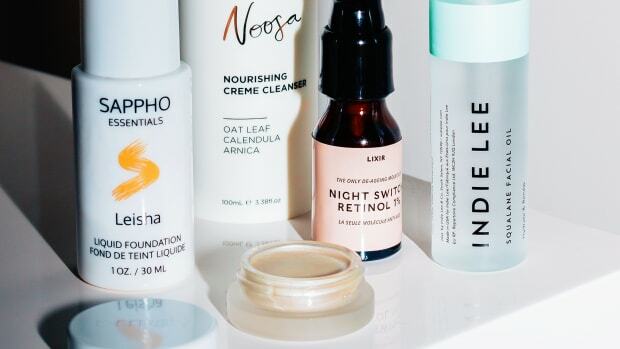 The other ingredients in Retinol Reform. Those actives are in a base of water and aloe vera, mainly. No pore-clogging silicone fillers! Do I wish the octyl dimethyl, polysorbate-80, propylene glycol, sodium benzoate and quaternium-15 weren&apos;t in here? Yes! Although the product is supposed to be well-tolerated by even sensitive skin, some of those ingredients might increase the risk of contact dermatitis, and the quaternium-15 does have a higher EWG rating. However, since they&apos;re in lower amounts, I&apos;m going to compromise, for now—until something better comes along!—because I just haven&apos;t seen a product this simple, gentle or effective, with such a high concentration of the active ingredients. The light, gel-cream texture of Retinol Reform. If you&apos;re keen to try Retinol Reform (or any other retinol, for that matter! ), here&apos;s how to get started. Always apply it to clean, dry, bare skin after you&apos;ve washed your face at night. Never apply retinol in the morning. Use one to two pumps to cover your face, neck and chest. You can apply a small amount underneath your eyes, but make sure not to get it too close, and avoid your lids and lashes. This area is so delicate that it may take some time to build up a tolerance, although Shani says that some complexions (including mine!) just can&apos;t handle Retinol Reform as an under-eye treatment. Oily skin will be able to build up to daily use faster. With dry or sensitive skin, it may take longer than eight weeks to build up a tolerance for more frequent applications. Go slowly! If your skincare routine includes any scrubs or acids such as Lotion P50, consider cutting back to only using them in the morning for a while. With the lactic acid in Retinol Reform, you don&apos;t want to overdo it. If you find your skin needs more moisture, wait as long as you can—at least 15 minutes, to let the active ingredients absorb—before layering your serum, moisturizer or oil of choice on top. Applying them too soon will risk diluting the effectiveness. Since retinoids can increase sun sensitivity, don&apos;t forget to apply a good sunscreen if you are getting any UV exposure. Check out my guide to the best sunscreens for your face. Expect brighter-looking skin and an improvement in acne in as little as one week! Wrinkles and fine lines may start to soften in under a month. Spot-lightening benefits usually take longer to become apparent; up to a few months. If you are pregnant or breastfeeding, talk to your doctor before using any retinol product. Makeup-free after using Retinol Reform. I started using Retinol Reform the first week of January. About a month later, I was told by a group of strangers that they&apos;d been staring at my skin from across the room and that I was "glowing." Coincidence? I don&apos;t think so! I believe this product has helped with tone, breakout-prevention and radiance. Since it works so gradually, I never got any signs of irritation—no redness, no dryness, no flakiness. The gel-cream texture feels hydrating, so I don&apos;t apply any other products on top, nor have I needed to change my current daytime routine of HydrExtreme and Indie Lee or Peter Thomas Roth squalane oil. The only negative for me has been that I can&apos;t tolerate it around my eyes, as it makes the skin go a bit crepey there. I&apos;ve experienced this with other retinoids, so it could be the retinol itself, or one of the other potentially sensitizing ingredients. I&apos;ll just stick with a non-retinol eye cream there for now! The bottom line? If you&apos;re keen to try a retinol, I&apos;d recommend this one for every skin type except sensitive! Retinol Reform is one of the best retinols you can buy. Have you tried Retinol Reform?